Have you lost sleep over work? Is Sunday evening filled with dread as you plan and rehearse for the coming week? On Monday morning, is there a hollowness in your chest and tension in your neck as you get closer and closer to your office? What’s happening when it feels like much more than work stress that’s making your working life miserable? Here’s how it used to be for me. After I left the military and graduated from college, I managed automation projects for a large, multi-national corporation. I was under constant pressure to deliver my projects on time and on budget. Although technology and client requirements changed constantly, the greatest challenges were the conflicts within our teams and organization, and the constant frustration of having your progress blocked by the thousands of variables encountered when managing projects. But, all these “problems” were actually what made the job challenging and fun. I got better at dealing with them. The better I got, the better I felt and the more I got paid—until it all became too much for me to handle. My career was going well. But as the years passed, I started to dread my job. Even when my projects were going well, I still felt, what I thought was, way too much stress. My doctors prescribed anti-depressants, but they seemed to dull me to everything in my life. The only thing that helped was distracting myself from work by immersing myself in one high risk hobby after another. First it was technical scuba diving below decompression limits and then ice climbing and mountaineering. It wasn’t until I suffered high-altitude cerebral edema in Peru and got rescued off a peak in the French Alps, all in one season, that I finally understood the source of my problems: my working life. That was ten years ago, and now, as many of you know, work feels good. Back then, my job managing projects changed from just being stressful into causing severe anxiety and profound dissatisfaction. So, where’s the line between work stress and work anxiety? One way to define workplace stress is the negative impact to wellbeing caused by pressure, conflict, frustration and change at work. Prolonged stress is correlated to a range of physical and mental health issues. Even when stressors are no longer present, the after effects, like post-traumatic stress disorder (PTSD), can last for years and even lead to suicide. In the past 20 years, researchers have begun to focus on the relationship between workplace stress and PTSD. Initial studies focused mostly on healthcare professionals but have now expanded to a range of occupations and workplaces. The one good thing about stress is that we can often recognize specific stressors and then understand the choices we have to change our situation. For example, if we’re feeling pressured by our workload and deadlines, sometimes they can be changed. Similar things can be done for other stressors involving conflict, frustration and change. I definitely don’t mean to over simplify our solutions to stress, and I also know that we all don’t have the same choices and solutions available to us. And, as I said above, stress that goes on too long can kill. But what’s happening when it feels like much more than work stress that’s making your working life miserable? 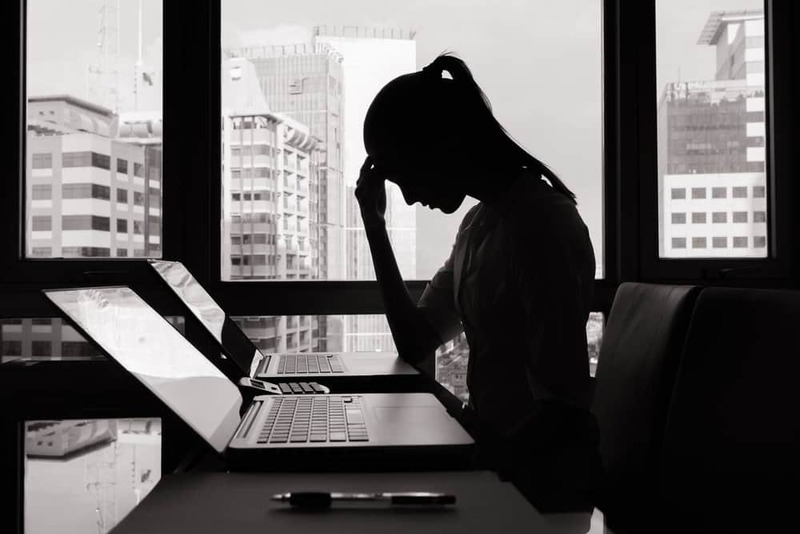 It could be anxiety caused by your working life. Psychologists often define anxiety as fear of something we can’t identify. So, for me to say work anxiety, work being the source or cause, may not be the correct use of anxiety, but it is helpful. Discussing anxiety this way enables me to describe the feeling of dread, apprehension, deep, objectless unpleasantness or dissatisfaction, and even neurotic fear in our working lives, that remains after we’ve ruled out the work stressors. Does my definition of work anxiety describe, to a greater or lesser degree, what you might be feeling about work? It describes how I felt after the first couple decades of my working life. In part 2 of this article, I’ll describe what didn’t help me and what, finally, did.